TAIPEI, Taiwan, June 6, 2016 (ENS) – Taiwan’s first female president, Tsai Ing-wen, has pledged to develop a program that will integrate national land-use planning, regional development and environmental sustainability. But civic groups are concerned about her lack of strong commitment and lack of detail given to the public about her policies. President Tsai, who chairs the Democratic Progressive Party (DPP), is generally considered to be pro-environment and pro-democracy. A graduate of Cornell University Law School in the United States with a doctorate in law from the UK’s London School of Economics, Tsai returned to her homeland where she taught law at Soochow University and National Chengchi University, both in Taipei. She rose in government through appointments to important official positions and through her work with the DPP. She was sworn into office on May 20, following her landslide win in the January 20 election. But during her inaugural speech, as Tsai called upon the nation to uphold its responsibility to the environment, several groups protested her support for new development projects that they say could lead to pollution, ill-health, and inevitably to the requisition of farmland. The head of Fight for Health Women’s Group (Kaohsiung), one of the protest organizers, explained that the local government is pro-development and has refused to reconsider their approval of the development projects. The environmental NGOs chose this day to express their views and make themselves heard because they hoped the new government could help them protect their homes from pollution and preserve agricultural land. The agricultural landscape across Taiwan has become highly fragmented as many fields are lost to urban and industrial development, illegal dumping, and informal buildings. According to Council of Agriculture estimates, the average size of farms has dropped to 0.7 hectares. 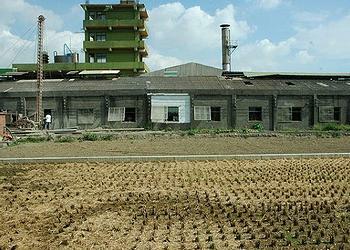 Every year 3,000 to 5,000 hectares of agricultural land are lost to development. These challenges are expected to pose threats of food shortages and environmental pollution. On many occasions, the new president and her administration have agreed that sufficient farmlands must be reserved for agricultural uses to ensure food security and expand farmers’ income. Still, Taiwan Rural Front, a social organization that promotes land justice and ecological sustainability, complains that the DPP never responds with clarity about their goal of the country’s self sufficiency rate. Once a self-sufficient agricultural powerhouse, Taiwan in recent years has been faced with growing threats to its food security stemming from climate change and increased reliance on food imports. Its agricultural trade deficit was US$9.70 billion in 2013. The previous central government set a goal of raising the nation’s food self-sufficiency rate from 32 percent in 2010 to 40 percent by 2020 through concrete measures to bolster domestic farming. 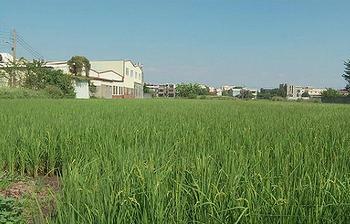 Before the election, in response to questions about Taiwan’s low sufficiency rate put by Taiwan Rural Front, the DPP reiterated the principle of preserving farmland for agricultural use and promised to support grain sufficiency by raising the area of grains, excluding rice and wheat, to about 100,000 hectares. Yet the DPP has never talked about the goal of 40 percent self-sufficiency rate set by the administration of 2011, or stated any goal that they wished to achieve once they won the election. What the DPP promised was to introduce agri-environmental subsidies to promote agricultural production, and the party did so one week after the presidential inauguration. Agri-environmental subsidies are the financial assistance given to farmers who use their land for agricultural purposes as a means to acknowledge the multiple functions of farmland – ecological, environmental, cultural and economic. DPP’s attitudes towards public land development and private land acquisition seem at odds with the subsidies and promises of sufficient farmland. Another of Tsai’s environmental sustainability initiatives, her “2025 nuclear-free homeland” plan, is a pledge to make Taiwan nuclear-free by 2025 and increase the use of renewable energy sources to 20 percent of total energy consumption. 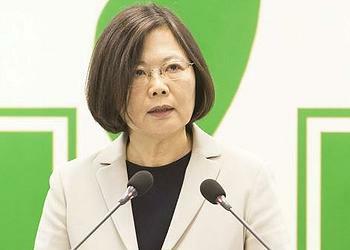 President Tsai has said she plans to use over 1,000 hectares of state-owned farmland for the establishment of a renewable energy technology innovation park in Southern Taiwan. On the other hand, the DPP administration has stated its intention to continue the practice of land acquisition for major economic constructions. It is a necessary and indispensable tool, administration officials argue, for the development of infrastructural facilities and urbanization of private land. The Taiwan Rural Front is criticizing the DPP for “taking a contradictory stance” in support of land requisition while using land justice to win public support during the election campaign.